Writing rebuttals to the random thoughts that emerge from Neil deGrasse Tyson’s twitter feed has become something of a cottage industry of late. He appears to make a game of trying to cram profundity into 140 characters. The results might be generously described as mixed. His most recent misfire came in the form of a proposal to build a virtual nation called “Rationalia”, where all policy decisions are adjudicated by evidence. In response, sociologist Jeffrey Guhin entered the ‘rebut Tyson’s twitter feed’ industry with a perversely ill-conceived takedown. The flaws with Tyson’s reasoning are rather elementary and simple to articulate. Brass tacks, a nation in which policy was dictated by the weight of evidence wouldn’t be able to make much policy. While it’s hard to think of an issue where evidence is entirely immaterial, there are plenty of issues where the weight of that evidence is far less than decisive. Choices about what kinds of policy to enact on issues like abortion, capital punishment, and resource redistribution can and should be informed by evidence, but they are ultimately decided by the ceaseless competition among changing value systems. It’s clear that Guhin has some sense of this, but instead of driving the point home, he turns to an attack on the entire process of scientific discovery and the veracity of the results it yields. In doing so, he reveals an embarrassing misunderstanding of the way science works and the reasons for which it is granted special credence as a knowledge-gaining activity. Indeed, it’s difficult to read Guhin’s piece without coming away with the impression that he literally does not understand science at all. Guhin’s primary gripe with science seems to be that scientists are people and, like all other people, they are driven by irrational impulses and blinkered by unexamined prejudices. This is an extraordinarily mundane observation, but it has long provided fodder for assaults on science from people in across the “other ways of knowing” spectrum, from eastern spiritualists to vehement anti-vaxxers. In terms of originality and impact, it might fit somewhere between the observation that rocks tend to be hard and you’ll die if you don’t eat. The fact that scientists can be just as biased and irrational as anyone else is precisely why science, as a process, eschews appeals to authority. General relativity isn’t considered a powerful scientific theory because the man who came up with it, Albert Einstein, was a well-respected scientist. It’s considered powerful because its predictions match observable reality with incredible precision. Other scientists checked Einstein’s work, making observations and performing experiments to test how closely it aligned with reality. Their results indicated that general relativity is an immensely successful explanatory framework. This is the feature of science that Guhin really overlooks. Much of the rationality of science emerges from the structure of scientific communities. Guhin’s ignorance of this fundamental point suggests he spends more time cataloging the perceived moral infractions of science than actually thinking about how science works. Myriad researchers compete and cooperate with one another in the shared pursuit of new knowledge. Though any individual scientist might be blind to the flaws of her experimental methods or pet hypotheses, plenty of her peers will gladly assist her in uncovering every point of error. The community structure of science serves as a course-corrective for the subjective biases, irrationality, and dogmatism exhibited by any of its individual constituents. So when Guhin points to social Darwinism and phrenology as scientific failures, he neglects to mention that their eventual dismissal is a clear indication that the process of scientific discovery works just fine. Those ideas fell out of favor because the cold arbitration of observable reality, in concert with the relentless scrutiny of peer review, found them wanting. Recognizing that they didn’t do any explanatory work, scientists cast those ideas aside, where they joined the colossal dust-heap of failed scientific ideas. As Guhin rightly suggests, the history of science is, more than anything else, a story of failure. In the long run, most scientific ideas turn out to be wrong in some way or other. Many just need to be tweaked, but others are discarded outright. Usually the results are pretty innocuous. J.J. Becher’s phlogiston theory of combustion never hurt anybody, nor did Joseph Priestly’s recalcitrant defense of it. Indeed, almost all of the failures Guhin seeks to cast as instances where science grossly violated the bounds of human ethics are really nothing of the sort. Hitler’s Third Reich and Stalinist Russia labored to present a veneer of scientific credibility, but never really exhibited anything of the sort. Both were expressions of state religion, where ideological fundamentalism and political fanaticism actively stifled scientific research and trampled many of the values most esteemed in science. Other sins Guhin tries to pin on science, like scientific Marxism, were dismissed decades ago because they were never really scientific in the first place. It’s absolutely critical to remember that every time a scientific idea has turned out wrong, it has been a scientist or a community of scientists that discovered its faults. More importantly, in the quest to understand the nature of reality – to construct reliable explanations of how the real world actually functions – science is the only thing that has ever worked. Measured against its litany of failures, the halls of successful scientific explanations can seem rather sparsely populated. But science is also the only process capable of landing a robot on a comet and building enormously sophisticated pocket computers. It’s the only source to turn to when you want to explain the structure of the recurrent laryngeal nerve in a giraffe or pluck information about the origins of the cosmos from data on the temperature of empty space and the Doppler shift of distant galaxies. It’s the only method for identifying the causal linkages between patterns of global climate change and human behavior. It’s the only tool for uncovering the causes of diseases and successful methods for treating them. With the right kind of belligerent myopia, it’s easy forget that all these things are the product of science. Though it might only do so rarely, science is literally the only method for uncovering truths that transcend the boundaries of language and culture. Given all this, it might be possible to see a nugget of truth beneath Tyson’s otherwise unrefined suggestion. It points to a more modest claim: that in any decision-making process where scientific evidence can be brought to bear, that evidence absolutely should be granted special emphasis. It’s not that values don’t have a role to play. It’s that values independent of reason and evidence are a recipe for unmitigated disaster. In the sometimes arcane and pedantic world of philosophy of science, there is a concept referred to as the “pessimistic induction from the history of science”. This is a fancy way to articulate a rather cynical (but mostly reasonable) conclusion one might draw from considered reflection on the history of scientific discovery. The basic point is this: the history of science is a veritable graveyard of failed ideas. Interred therein and littered about the tombstones are discarded hypotheses and wishful ideas that failed to pass muster. Read the inscriptions on the tombstones and you’ll find elegies to hopeful – even occasionally ingenious – but fatally flawed theories, including some produced by the sharpest intellects in history. J. J. Becher’s mid-17th century phologiston theory of combustion, which held sway until Lavoisier disproved it in the late 18th century; Ptolemy’s geocentric model of the solar system; Newton’s many forays into astrology; any number of pre-germ theory explanations for infectious disease; Jean-Baptiste Larmarck and Erasmus Darwin’s ideas about biological evolution; even Charles Darwin’s ideas on pangenesis and gemmules as mechanisms of inheritance. In this respect, the history of science is very much like the history of life on earth. The millions of species living today are but a tiny fraction of the species that have ever existed. Similarly, today’s most robust and elegant theories are but a tiny sampling of the multitude of explanations humans have forwarded over the years. Given this, one might be forgiven for wondering why some people put so much stock in science. If most scientific theories turn out to be wrong, why invest confidence in the process that produces them? This is a valid question, one that has provided fodder for much speculation on the part of scientists and philosophers alike. Multiple answers have been forwarded, but there are a few I think worth highlighting here. First, there is a matter of logical bookkeeping. Inductive reasoning does not prove anything one way or another, at least not with the resounding finality many of us ascribe to the word prove. For instance, the best reasons for thinking the sun will rise tomorrow do not relate directly to the fact that it has risen every day previously. Rather, they have more to do with the type of object the sun is, an understanding of the kinds of processes at work within it, the intricate gravitational relationships between it and the other massive objects occupying its solar neighborhood, and the regular rotation of the earth. Similarly, the confidence assigned to science is not entirely dependent on a strict accounting of its history of successes and failures, but an understanding of the way science works as a process. Though science has produced hordes of failed ideas, it also includes the very mechanism by which the flaws in those ideas were uncovered and their faulty premises ultimately rejected. Science, as the saying goes, is a self-correcting process. The constant push and pull of cooperation and conflict within scientific communities, in relation to the cold arbitration of external reality and empirical evidence, provides an excellent check against the proliferation of bad ideas. Second, it is possible to invert the pessimistic induction and derive an optimistic induction. This stems from the fact that science has, on occasion, produced powerful and elegant explanations for the way the world actually works. And, importantly, it is the only thing that ever has. True, most scientific ideas fail. But some succeed, and our understanding of the universe increases as a result. This claim is exclusive to science – it can be made for literally no other human process. Let me be precise about what I mean by this. There is a relatively widespread opinion, at least in some subset of Western society, that there are multiple ways of “knowing”. This idea is justifiable, but only in a very restricted sense (i.e. if the word “knowing” is loosely construed as a statement regarding the subjective experience of meaning and profundity). Art can teach individuals much about what it means for them to be a human with respect to various aspects of their environment. Literature is able to explore difficult and profound moral questions and produce moving ideas about society and culture. It is even capable of commenting on the very nature of science and knowledge. In this sense, art, music, literature – in addition to any number of humanity’s myriad cultural traditions and social philosophies – can reveal things about who we are as a species and where we sit in the cosmic tapestry that are both profound and illuminating. They are powerful tools for the construction of meaning. The meanings produced by art, literature, religion, and so forth are infinite and occasionally beautiful. That they are irrevocably subjective and intensely individual does not diminish their incredible value. It only means that they are not candidates for founts of universal and unequivocal “knowledge”. Conversely, Newton’s laws of motion are not necessarily relevant to everyone, everywhere. Most people live full and meaningful lives without a comprehensive understanding of them. Nevertheless, they are an incredibly accurate, useful and – as near as anyone can tell – universal description of a set of physical relationships. Only science has ever come close to producing anything approximating a universal or unequivocal “truth”. Yet it does so with enough humility to call its best ideas provisional. There may indeed be other “ways of knowing”, but only in a limited sense. Non-scientific ways of knowing have never cured a disease or explained the origins and diversity of life on earth, put a human on the moon and provided a glimpse into distant galaxies or the earliest moments of the universe. And that is precisely why, when it comes to science, I am a grinning optimist. It is also why it is not only justifiable to invest confidence in scientific, but immensely rational to do so. Here is your token inspirational science video: Richard Feynman on the beauty of a scientific attitude. Science, in many respects, is a sprawling, messy endeavor. It does, however, have boundaries. The borders of science remain particularly pertinent in a political climate that remains remarkably tolerant of conservative assaults on science and critical thinking. In many states, conservative lawmakers and right-wing school boards have launched sweeping – and, to those with an appreciation for fact-based discourse, revolting – revisionist campaigns, attempting to rewrite science and history curriculums to better match their ideological biases. Identifying which of their crimes against free expression and public education is most heinous is something of an arbitrary affair, but their attempts to inject religion into the biology classroom have been among the most pernicious and persistent. It is for this reason that intelligent design makes a particularly useful fulcrum for analyzing scientific demarcation criteria. Discussions of what does and does not count as science have been far ranging and, occasionally, contradictory. Some philosophers and scientists cite a fairly narrow range of criteria as sufficient markers for the border between science and pseudoscience. Others argue that demarcation demands the inclusion of factors relating not only to what counts as scientific explanation, but what counts as science as a process, pointing to important elements of the methodology and sociology of science. A few have even argued that demarcation is a pseudo-problem. This latter argument probably goes too far, since demarcation has important practical consequences (e.g. what types of projects should be funded by public money, what types of claims should be invested with the most confidence, and – in particular – the type of confidence that comes with the term knowledge, and what types of information should be taught in public educational institutions). In what follows, I do not attempt to establish a comprehensive, universally satisfying set of necessary and sufficient conditions for something to be included within or excluded from the domain of science. Indeed, I think many of the criteria forwarded by philosophers of science capture at least part of the picture, and that few I have encountered are entirely wrong. Rather, the point here is to discuss demarcation in light of a socially and politically relevant problem: persistent attempts to inject religious dogma into the public science classroom. Using intelligent design (ID) as a fulcrum for analysis, I distinguish between scientific explanation and the process of science, identifying a few important criteria for each. Ultimately, intelligent design falls short of the mark in both respects, but nearly as cleanly as some might suspect. It is a free-flowing, wide-ranging discussion. It is also, I am quite confident, a balanced one. Though my ultimate conclusion is probably obvious at the outset, I think following the argument through its entire course is worthwhile. Superficially, establishing a set of clear and simple criteria for what does and does not count as science seems like a fairly straightforward proposal. Science, as a relatively recent addition to the human social repertoire, is commonly viewed as distinct from other activities. It employs unique methods that produce original and robust answers to questions relating to the nature of reality. Additionally, the answers produced by science are often freighted with a level of confidence above and beyond those forwarded by perspectives that fail to measure up to the rigorous standards of scientific practice. For many, a scientific perspective is considered a marker of rational equanimity of thought and scientific explanations are considered the pinnacle of reliability in the otherwise precarious and erratic arena of human knowledge. Indeed, the peculiar nature of scientific claims earns them a well deserved place of privilege in the social and political discourse of some nations, such that science is considered a reasonable guide for a variety of policies, a standard for what types of endeavors are suitable targets for governmental investment, and what types of explanations are considered appropriate for discussion in publicly financed educational institutions. More to the point, scientific explanations are probably the closest humanity comes to determining many important truths about the nature of reality. It is with regard to questions of what topics do and do not count as suitable targets of scientific education that problems of demarcation stubbornly recur as an issue of broad social import in the United States. Citing presumed deficits in the notion of biological evolution as expressed in the neo-Darwinian synthesis, some have forwarded the notion of intelligent design as a plausible alternative solution to questions pertaining to the origins and diversity of life. Proponents of this view would like to see it injected into the public education system as a means of infusing science curriculums with a measure of balance they might otherwise lack. Critics justifiably charge that intelligent design is merely religious dogma rebranded and refashioned to mimic scientific practice. In this view, it has have no place in science education because its religious roots render its inclusion therein a violation of the Establishment Clause of the United States Constitution, which has been consistently (and, I think, accurately) interpreted as a prohibition against the preferential treatment of any system of religious belief with respect to the function of the federal government. Of course, beyond the issue of strict legality is a question of whether or not the claims of intelligent design have the same explanatory merit as those included within the neo-Darwinian synthesis. At issue here is not only whether or not the framework is legally admissible, but whether or not the framework is a useful guide for understanding the aspects of the structure of reality that well corroborated scientific theories are thought to address. Held against these criteria, Ruse argued, Creationism was exposed as poorly disguised religious dogma. Though admirably clear and succinct, Ruse’s demarcation criteria are imperfect. Larry Laudan criticized them as simultaneously misconstruing the nature of the process of scientific discovery and setting a bar for admission so low as to be almost meaningless (3). Creation-science made claims that were both testable and falsifiable, satisfying conditions 3 and 5. For instance, a literal reading of the Biblical Noah story suggests a number of hypotheses about the kinds of evidence we can expect as a result of a massive global flood. Comparison between said claims and observable reality demonstrates that, as a scientific explanation, Creationism is indisputably false. Being wrong, however, is not the same as being unscientific. Relative to conditions 1, 2, and 4, the problem is not whether Creationism meets those criteria (for the most part, it does not), but whether what is commonly (perhaps dogmatically) accepted as science does so either. Much of what counts as science has little to do with the invocation of explanatory laws. Newtonian mechanics, for instance, seems perfectly capable of capturing and predicting the relationships between massive objects, yet offers little in the way of an explanation for why those relationships hold. Similarly, though eschewing dogma is considered crucial to the scientific enterprise, the reality of scientific practice often tells a different story. One particularly influential philosopher of science, Thomas Kuhn, went so far as to argue that dogma is a critical component of scientific pedagogy4, pointing out that students of any particular discipline are rarely encouraged to directly question the predominant explanatory paradigm of their field and the decisive evidence thought to justify it. With regard to Ruse’s fourth criteria, tentativeness, it is also true that the proponents of Creationism have not proven entirely intransigent, allowing their framework to morph into the more sophisticated framework of intelligent design. Clearly, Ruse’s criteria fail to set up reliable guidelines for distinguishing between science and pseudo-science. To be clear, components of his framework seem to accurately characterize aspects of the scientific process. The problem is that they do not outline the entire corpus necessary and sufficient conditions for inclusion within (or exclusion from) the genus of ideas and investigative practices appropriately accepted as scientific. It is at this point perhaps useful to make a distinction between the scientific process and scientific explanations. These are, of course, overlapping domains. However, the possibility (however remote) for something to match any hypothetical set of criteria characterizing scientific explanations absent the work associated with the process of scientific discovery – that is, to be a scientific explanation by pure coincidence – makes the distinction worthwhile. Similarly, something might well resemble the process of science without really going about producing any actual scientific explanations. Scientific explanations are what the process of science is meant to produce as output. In other words, scientific explanations are the ends of science, while the scientific process is the means of getting there. Science, then, must be defined with respect to certain ends (the production of scientific explanations) and the specific ways in which it goes about achieving them. Given this, there are two facets to the question of whether or not intelligent design is science. The first asks, “does it produce scientific explanations?” Does it share the same goals as other scientific endeavors and is its success in attaining those goals evaluated by the same criteria? The second relates to how closely the process by which those explanations are produced matches the processes by which scientific explanations are produced. That a theory be falsifiable is a frequently cited criterion for its acceptance as properly scientific. As advocated by Karl Popper, falsificationism relates to both scientific explanations and the process of scientific discovery (5). A valid scientific explanation should be falsifiable, and researchers engaged in the work of science should go about trying to falsify it. By suggesting that researchers should go about making bold conjectures and subjecting them to observational and/or experimental tests that stand a reasonable chance of turning up contradictory evidence, Popper sought to overcome Hume’s longstanding “problem of induction”. Briefly put, the problem is this: strictly speaking, scientific theories can never be proven by corroborating evidence, no matter how plentiful. There is neat a Bayesian proof of this, but its inclusion exceeds the scope of the present essay. Suffice it to say that the kind of evidence uncovered by individual experiments has limited extension, which is a big part of why the results of t-tests are interpreted in the rather torturous manner they are. Properly understood, positive evidence for a given hypothesis only demonstrates that, under a constrained set of circumstances, the hypothesis has a probability of being false below a certain threshold. Consequently, the most prudent course of action is to adopt a deductive approach and go about attempting to disprove hypotheses. No matter how many instances of positive evidence a researcher accrues, they can never be entirely certain that a given theory holds always and everywhere – that is, that it is an accurate description of any actual aspect of reality. However, a recalcitrant instance of disconfirmation can give us a lot of confidence about what is not true of the nature of reality. In short, opening up the potential for scientific claims (at least those pertaining to what is not true about reality) to be couched in the certainty of deductive disconfirmation eliminates the difficulties associated with inductive reasoning. Unfortunately, the actual practice of science tends to deviate from Popper’s prescriptions. That a given claim be falsifiable is a necessary component for it to be accepted as scientific. Falsifiability is a pretty strong candidate for a demarcation criterion, but – as Kuhn pointed out – the search for falsification does not really characterize much (if not most) of the work scientists actually do (6). Scientific ideas should absolutely be disprovable, but scientists do not typically go about hunting for evidence that contradicts the paradigm in which they work. As a result, falsifiability is a necessary, but far from sufficient, criterion for scientific demarcation. On that note, it is difficult to fault the proponents of intelligent design for not putting a lot of apparent effort into finding out if their ideas are actually true – that is, an accurate description of some feature of observable reality by virtue of its ability to withstand frequent attempts at disconfirmation. Still, the question remains: is intelligent design, as an explanation, falsifiable? To answer that requires reference to what seems to be the central dogma of intelligent design – that certain biological systems and structures (eyes, immune systems, flagellar motors etc.) are “irreducibly complex”. This is meant to convey the notion that, absent any component of their current structure, they would cease to function entirely and that there is no natural process that could build them. It is a essential a rejection, probably based largely in either a misunderstanding of or inability to understand, the incremental process of descent with modification. Superficially, irreducible complexity seems like not only a falsifiable claim, but a falsified one. A human eye, for instance, might not work very well if some malicious entity were to pluck out its lens. Consequently, an eye without one would not be very useful. However, the lens-free eye (or insert whatever component of whatever structure or system you desire) is something of a straw man. All that is required for an eye to evolve through the natural selection of blindly generated genetic mutations is that each modification on the road to any given modern eye (there are many) confer on its recipient some competitive advantage. From photoreceptor cells to direction sensitive eye cups, on up to any modern eye, all that is required is that each new feature – each subtle modification of the pre- existing structure – increase the fitness, or is associated with increased fitness, of its bearer. Eyes and flagellar motors need not appear entirely functional. Darwinian arguments only hold that each step along the long chain from no eyes and no flagellar motors to the modern manifestations thereof needs to confer some utility above and beyond that of extant, competing alternatives. As with creationism, it seems intelligent design is not an unscientific explanation – merely a wrong one. This, however, seems a little too permissive. Irreducible complexity would count as a testable (and therefore falsifiable) empirical hypothesis if there were some stable, coherent, rigorously defined criteria for identifying it. Unfortunately, what does and does not count as irreducibly complex is arbitrary. It relates not to what can and cannot be reduced to a simpler functional form by some reverse-engineered process of evolution by natural selection, but what a given human can and cannot conceive of as irreducibly complex. Irreducible complexity refers to the shortcomings of the individual researcher’s conceptual repertoire, not a distinct feature of the natural world. Consequently, it is difficult to see how the claim of irreducible complexity is testable and, more specifically, falsifiable. A. C. Grayling characterized debating the religious as boxing with jelly (7). So it is with falsifying irreducible complexity: because of its extreme malleability, it is difficult – if not entirely impossible – to disprove. Its information content and the sorts of expectations that can be derived from it are limited only by the imaginations of its proponents. The same problem holds for the broader notion of an intelligent designer. Proponents of ID have been careful not to specify the nature of the agent holding the cosmic reigns, possibly (read: probably) because they do not want to burden their idea with the sort of specific dogma that would render it inadmissible as a component of public school curriculum. The intelligent designer might be Yahweh, Zeus, advanced extraterrestrial beings, or any other entity capable of performing the necessary manipulations. Here, the problem is that the definition of the agent at work is not sufficiently circumscribed for consequences of its actions to be amenable to observational testing. Irreducible complexity is thought to be just such a consequence, but it too is unwieldy. As discussed, when something appears to be irreducibly complex, one might just as well ask why it is humans can’t conceive of the processes that formed it, rather than assume it must have been made by something other than undirected natural processes. The need here is not for scientists to be able to observe the designer directly, but for some observation to be expected as an inevitable consequence of its intervention. Prediction is a commonly cited feature of scientific explanations, included – for instance – in Carl Hempel’s deductive-nomological model (8) and James Woodward’s discussion of the manipulability conception of causal explanation (9). If the intelligent designer is going to do any explanatory work, ideas about its nature must at the very least be defined with a specificity adequate for the generation of predictions. Absent this, the intelligent designer has roughly the same explanatory merit of Hans Driech’s entelechy (10). Which is to say that an intelligent designer is, in light of current definitions, entirely superfluous. Thomas Kuhn criticized Popper’s suggestion that falsificationism represented a criterion sufficient for marking the boundary between science and pseudo-science. According to Kuhn, falsification only becomes important during periods of the sort of extraordinary research that often precipitates the adoption of new paradigms (6). Falsification, as a component of scientific practice, stems from the accumulation of recalcitrant problems and only really results in theory change in the presence of an alternative capable of overcoming some of those problems. Kuhn argued that the day-to-day process of scientific discovery was a more humdrum affair, characterized by a community of researchers working to solve rudimentary puzzles and bring theory and observation into closer harmony. Guided by a set of shared standards for solving scientific puzzles and evaluating their solutions (paradigms, in the disciplinary matrix sense of the term) scientists spend most of their time using an established theoretical framework to explain phenomena. During these periods of normal science, failures to explain observational evidence or experimental results are typically interpreted as errors on behalf of the researcher, not the theory they are attempting to employ. Kuhn’s more extreme views on the incommensurability of alternative theories aside, there is much to appreciate here. As with any attempt to capture the essential components of the scientific process, Kuhn’s formulation is incomplete, but he does capture something essential – science, in some way or another, seems to involve the behavior of a community working to accomplish a common goal in accordance with a set of widely shared standards for success and failure. The scientific process is the means by which scientific explanations are produced and tested. It is a dynamic social activity, a point made Kuhn and echoed – to varying degrees – by Imre Lakatos and Paul Thargard in their respective attempts to formulate useful and accurate demarcation criteria. Lakatos argued that science is denoted by a progressive research program, guiding the investigations of researchers and leading to the discovery of novel facts about the nature of reality (11). Thagard reiterated the need for science to be a progressive process, bringing explanations and reality into ever tighter accord (12). Both also pointed to something critical – the need for scientific theories to be evaluated not only in terms of their adequacy in explaining or predicting a given set of observations, but it terms of their relative adequacy in light of alternatives. To be clear, highlighting the importance of the social structure of scientific communities in describing the process of scientific discovery should not be interpreted as an undervaluation of the role of empirical evidence. Empirical evidence is absolutely critical, and represents a core component of the standards used to determine the veracity of scientific claims. Nevertheless, the reality from which empirical evidence is derived is impotent in terms of explanatory and predictive content absent a community of researchers with shared values for evaluating competing claims about the nature of reality. Presumably, reality was comprised of and unfolded in accordance with the same underlying processes well before the advent of anything resembling science. What’s new – and what makes science a distinct knowledge-gaining activity – is the way in which a community of individuals relates to that reality. An accurate – if broad – definition of the process of scientific discovery might read as follows: Science, as a process, is characterized by a community of variously competing and cooperating researchers working to sculpt enhanced understandings of reality that are evaluated in accordance with a set of shared values concerning what counts as success and failure. In this sense, science itself might be fruitfully cast as a process that is in important respects analogous to Darwinian evolution. This is an idea Kuhn, Lakatos, and Thagard hinted at (albeit in somewhat different forms) in the emphasis they placed on the role of alternative accounts in shaping scientific progress. It was more or less directly stated by Bas C. Van Fraasen (13) and has been significantly elaborated by the philosopher of biology and science David Hull (14,15). In this view, scientific communities are conceived of as representing Darwinian populations. Individuals within a given community share significantly overlapping views about how to explain the phenomena of interest, including an overarching explanatory framework and notions about how to refine, test, and extend that framework. However, their ideas in this regard are not identical – there is variation within the population of scientists with respect to how to interpret a given theory and wield it as an explanatory tool. Scientific explanations are produced as a product of competition and cooperation among the individuals and different interpretations that constitute a given scientific community. External reality – through the mechanisms associated with competition and cooperation relative to shared standards of evaluation like accuracy, coherence, and parsimony – sculpts the population and the explanations it produces. As Kuhn pointed out in his seminal work, The Structure of Scientific Revolutions, individual scientists can be dogmatic and intransigent (16). Fortunately, for science to function as a process, individual scientists do not need to undergo much conceptual evolution. Certainly it would be nice if they did, but it isn’t necessary for science to experience progress. Over time, the composition of scientific communities change, allowing the population as a whole to experience the sort of conceptual evolution necessary for science to work as a process for uncovering more and more information (or inventing increasingly useful accounts) about the nature of reality. Is there a community with a shared goal? Are the members of said community engaged in progressive research? Do the members of said community vary in their ideas concerning the interpretation and application of their governing paradigm? Do they share criteria for evaluating success or failure in achieving the shared goal (question 1) that are commensurate with the broadly recognized and accepted criteria of science? A complete and accurate answer to these questions would require a considerable amount of what I shall term, for lack of a better word, ethnographic research within the intelligent design community. The closest thing I am aware of to this type of work is Jason Rosenhouse’s book Among the Creationists (17). Based on Rosenhouse’s account of his considerable time spent interacting with Creationists and Intelligent Design advocates at conferences built around said claims, it seems fair to answer question one in the affirmative. There is certainly a community and they do seem to share a common goal: destabilizing Darwinian explanations for the origins and diversity of life. An answer to question two is somewhat more equivocal. On the one hand, it might be generously granted that the proponents of intelligent design do sometimes carry out research. On the other, it hardly seems appropriate to characterize this research as progressive. For the most part, the advocates of intelligent design seem to spend their time concocting negative evidence for evolution by naturalselection, pointing to this or that feature of the natural world as something purportedly inexplicablewithin the Darwinian framework. They have not, however, generated anything that might even approximate a suitable alternative that could offer a potential corrective by which Darwinism might overcome its apparent flaws, much less a suitable candidate for its wholesale replacement. In short, they have not forwarded a way by which intelligent design might actually improve humanity’s understanding of relevant facts. For question three, I am willing to move beyond a partial yes and grant that there is variation within the intelligent design community concerning the way in which the idea should be interpreted and applied. According to Rosenhouse, there are some who recognize that, as a scientific explanation, intelligent design lacks merit and others who appear quite content with the business of trying to sap Darwinian defenses. Finally, there is the question of whether or not the members of the intelligent design community share criteria for evaluating success or failure that are commensurate with those employed in established sciences. Here, any answer must be considered far more tenuous. Still, the persistence of intelligent design despite its obvious explanatory stagnation is suggestive that the appropriate answer is probably negative. Irreducible complexity, insofar as it might be rather indulgently granted status as a falsifiable claim, has been resoundingly disproven, yet many proponents of intelligent design continue to tout it as one of their strongest arguments. In this, they do not seem to be engaged in a process that can be appropriately characterized as scientific – if the community shared criteria for evaluating claims against observational and experimental results, the population should have responded accordingly and abandoned the notion of irreducible complexity to monumentally heaping dustbin of failed ideas. Though it is difficult to identify precisely when intelligent design emerged from the Creationist movement, it is fair to say the basic argument has been around since the mid-1980s – shortly after the judge adjudicating the Mclean v. Arkansas dispute issued his decision. Thirty years (give or take) seems like plenty of time for the population to come around to the idea that the irreducible complexity argument does not work, provided they are willing to employ the same evaluative criteria used by scientists. By contrast, the evolutionary community had largely come around to the idea that genes/individuals (as opposed to groups or species) were the targets of natural selection by the early 1980s – around fifteen years (give or take) after W. D. Hamilton (18) and George C. Williams (19) had presented the landmark papers that facilitated the shift in outlook. Perhaps it might have once been reasonable to permit the intelligent design movement status as something of an incipient science. This, of course, would demand turning an assiduously blind eye to the notion’s obviously religious roots. But as Lakatos argued, it is probably prudent to allow emerging theories some leniency with regard to putative instances of falsification or failures to produce explanations that meet the criteria of science (11). Precisely how much wiggle-room a new idea should receive, and how long it should be permitted, is unclear, but it seems reasonable to draw the line somewhere. If intelligent design has not crossed that line yet (again, an exceptionally generous allowance), it is probably hovering somewhere very close to it. As an explanatory framework, its failure is unequivocal. Irreducible complexity – its most promising candidate for generating empirical hypotheses – has, if taken seriously, been repeatedly refuted. However, it is not entirely clear that it even has the coherence and stability necessary for subjection to empirical evaluation. Irreducible complexity seems more like an artifact of the intelligent design advocate’s inability to comprehend Darwinian explanations and apply the criteria of scientific evaluation than a reflection of something that actually exists in reality. The same is true of the central notion of an intelligent designer. This entity has not been rigorously enough defined to yield a clear picture of the consequences we should expect to observe were such an entity involved in the processes underlying the origins and diversity of life. Answering whether or not the proponents of intelligent design are engaged in the sort of process that might produce a valid scientific explanation is somewhat more ambiguous. Some of the necessary features are there, others are not. There is a community and they do seem to share a common goal. Furthermore, members of that community vary in the way they think intelligent design ought to be interpreted and applied – there is fuel for the sorts of competition that underscores progressive research. But at the same time, the intelligent design community does not seem to be actually engaged in progressive research. Additionally, there is reason to doubt that they take the value criteria used to judge scientific success or failure into account, as illustrated by the persistent advocacy of the irreducible complexity hypothesis (again, provided we are charitable enough to grant it status as an actual scientific hypothesis). On this note, it might be fair to say that, if the advocates of intelligent design are engaged in something like a process of scientific discovery, it is a very peculiar one. Divorced of its obsession with uncovering negative evidence for the neo-Darwinian picture of biological evolution, intelligent design shares a goal roughly commensurable with that of Darwinism. This, of course, is the desire to explain the origins and diversity of life. Superficially, such an intelligent design might have a place within an existing process of discovery – an actual alternative to Darwinian ideas. That is not to suggest it is a good – or even promising – scientific explanation of any aspect of the biological world. Rather, it is to suggest that even an idea apparently doomed to abject failure has a potential place in the process of scientific discovery. That a theory is not true is not a particularly usefully criteria for exclusion from the scientific process – after all, it is hard to make a reliable statement about its veracity one way or another without it having first been subjected to the scrutiny entailed by the scientific process. The history of scientific discovery is littered with far more failed ideas than it is successful ones and the scientific process is sometimes described as self-correcting, weeding out faulty ideas as a natural output of its proper function. Intelligent design’s persistence could be thought to relate to its exclusion from the process of scientific discovery. However, there is an issue of epistemological incommensurability (to employ some fancy philosophical lingo) that renders such a merger illusory. The advocates of intelligent design may pay lip-service to the rigorous means by which scientific ideas are evaluated, but their actions tell a different story. Establishing a set of necessary and sufficient conditions for what does and does not count as science is exceedingly difficult. If a definition is too restrictive, it might omit things that are widely thought to count as science. If it is too permissive, it renders the demarcation problem meaningless. In this regard, the concept of methodological naturalism has been forwarded as minimum standard for inclusion within the genus of ideas that can be properly viewed as scientific. Contrary to positions of ontological naturalism, methodological naturalism is not a comprehensive statement about what types of things exist in the universe. It is a practical recognition of what types of things are amenable to scientific investigation: things that are either directly observable as matter and energy or subject to inference through the consequences of their interaction with observable matter and energy. These are the only sorts of things that have produced scientific explanations in the past. Furthermore, they provide one of the core selective criteria that guide the process of scientific discovery. There are further issues to discuss with methodological naturalism – to insert it as a footnote at the end of lengthy essay does the idea a disservice, a problem I intend to remedy at a later date. However, it does highlight a core difficulty with the intelligent design framework. As long as intelligent design insists on positing the existence of a governing agent without elaborating on ways in which that agent might be observed, it trespasses the bounds of science and strays into the realm of pseudoscience. With respect to public education, this is an issue that transcends the narrow scope of legal propriety. In that respect, the answer is clear: intelligent design, as with all other religious doctrine, has absolutely no place in the science classroom. Religion, as an important component of the social landscape, should not be ignored. It has important consequences for the way people behave and the development of disparate cultures. In this sense I’m sympathetic to Daniel Dennett’s idea that the proper place of religion within the public school curriculum is as a component of some kind of humanities course that covers all religion equally, discussing their core doctrines and historical importance with absolutely no reference to their truth or falsity. But as an explanation for how the world works, religious ideas have no place in the educational standards we should esteem within our society. Scientific ideas have a special place in this regard because they are, unequivocally, the closest we have ever come to saying what is an is not true of reality. They are the reason we enjoy the rich host of technologies that populate the modern landscape, the reason medical science has pushed the average age at death back by decades, the reason humanity was able to place a member of its species on the moon. Science is the method by which we have achieved a glimpse, however fragmentary, into the endlessly astounding and awe-inspiring tapestry of laws and processes that comprise the fabric of reality. As a result, it has been afforded a richly deserved place of privilege in modern society. It has, in many respects, usurped religion’s place as a guide for discovering our place in the cosmos. For many, this has been – and continues to be – a hard pill to swallow. Their hurt feelings and ill ease should not be allowed to hamper progress. The world is a far more marvelous place absent ancient myths and superstitions, however ephemerally comforting they may be. Karl Popper. Conjectures and Refutations. (London: Routledge & Kegan, 1963). Grayling, A. C. The God Argument: The Case Against Religion and for Humanism. (New York, NY: Bloomsbury, 2013). George C. Williams. 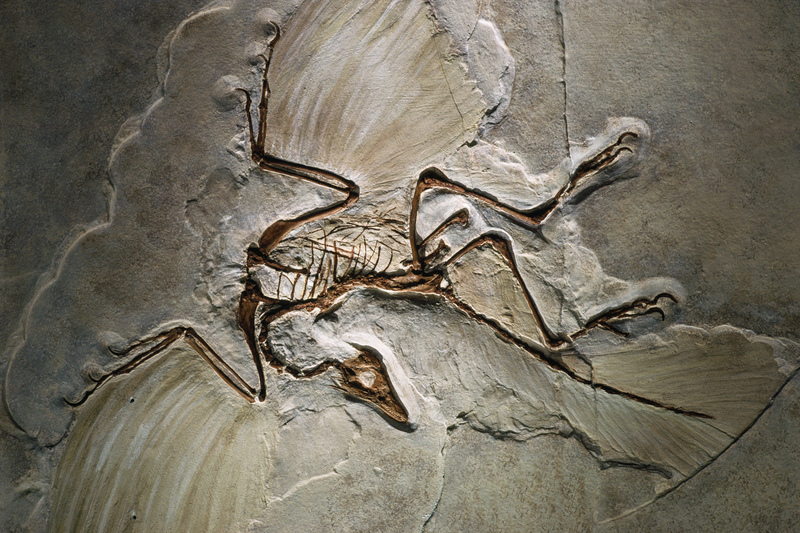 Adaptation and Natural Selection: A Critique of Some Current Evolutionary Thought. (Princeton Universty Press, 1966). I originally wrote this essay for another purpose, but liked it enough that I thought I might rework it into a blog post to share with the world (read: the handful of people who might actually read this post).